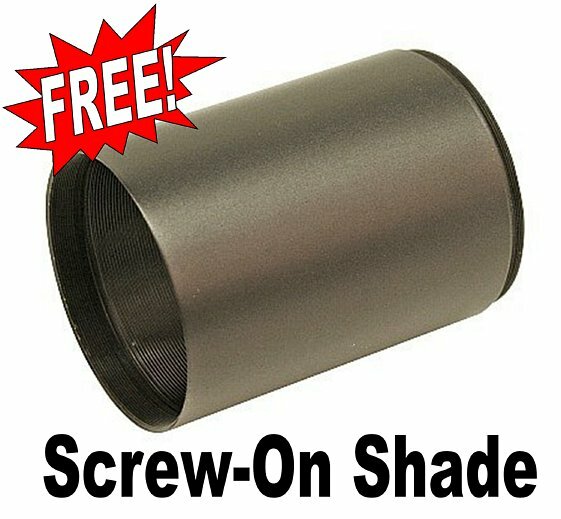 Free Screw-On Sunshade 029-SS340 ($16.95 Value). Superb Clarity, Brightness and Repeatability! 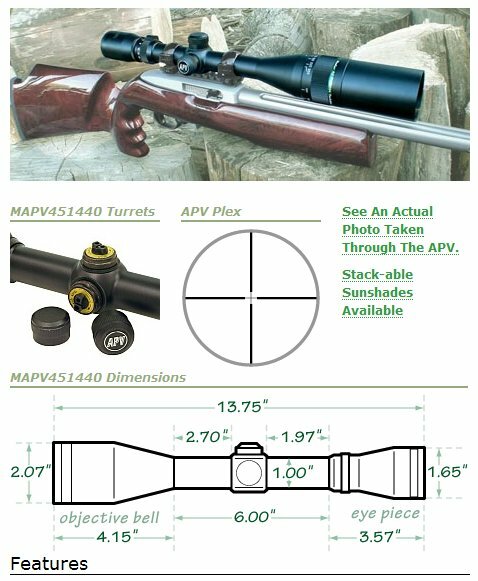 Mueller All Purpose Variable (APV) riflescope has 4.5-14X magnification with adjustable 40mm objective and the 1/4 MOA windage and elevation adjustments have clean, definite, and repeatable click settings. 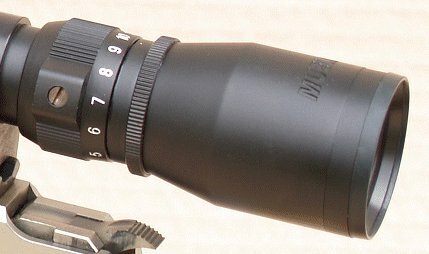 Optically, the Mueller APV riflescope gives excellent edge-to-edge clarity and brightness because the glass is top quality and fully multi-coated throughout. 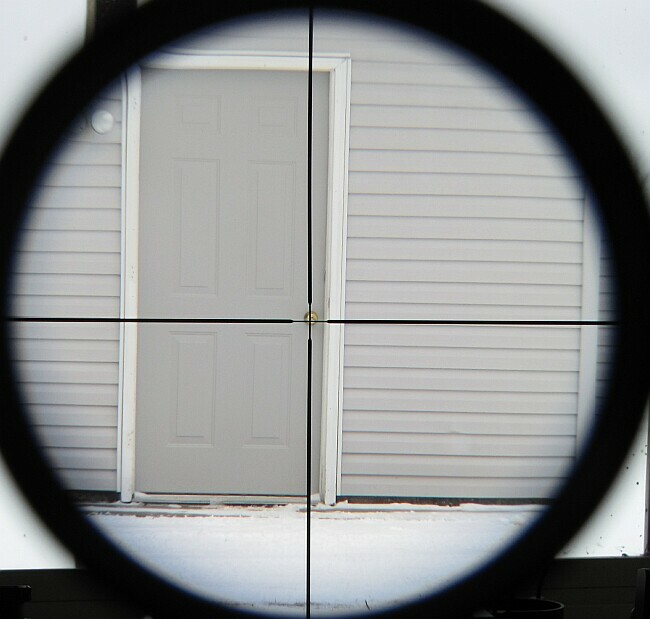 The Mueller APV riflescope features a medium fine plex style reticle to give fast target acquisition with fine detail aiming at the crosshair. 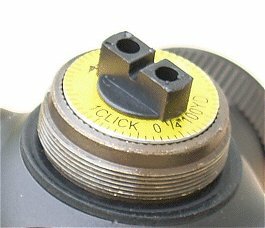 The parallax adjustment goes all the way down to 10 yards so you can use this scope at rimfire as well as centerfire distances. Click the tabs above to see more information and specification charts. The one piece tube construction is nitrogen purged, waterproof, fogproof, and shockproof. I having purchased a Mueller 4.4-14x40 scope for my CZ 527 American .223. Mounted it in to the CZ factory rings with ease. Sighted it with a bore laser and get it on paper. First trip out at 50 yards was very clear and easy to adjust to get it on target. Deliver was right on time and for the cost a great scope.